Justin Ahrens (Rule29 and Wheels4Water), Mike Joosse (Designation Labs), Sabine Lenz (PaperSpecs), Mike Miller, and Christine Taylor (Hallmark and POPMinded) discuss the first day of 2017’s HOW Design Live in Chicago. I still can’t believe this was recorded six days ago. For those who’ve been to HOW, you know that once returning to your regular schedule a few days later that there is a weird feeling of that first day. In some ways, it feels like it happened just hours ago – while at the same time feeling like a month away. And of course, I did some podcasting while in Chicago. In the following days I have three more daily recaps to post, followed by seven interview podcasts that will go out over the next few months. I think I ended up with a great lineup of guests over the week, including two AIGA Medalists (one on a recap, one as a full show). Thanks again for listening! Enjoy. The fourth of our six interviews recorded at the 2015 HOW Design Live in Chicago is with Justin Ahrens and Wills Francis of Rule29. We talk about Wheels 4 Water, Culture vs. Creative, and podcasting. Enjoy. 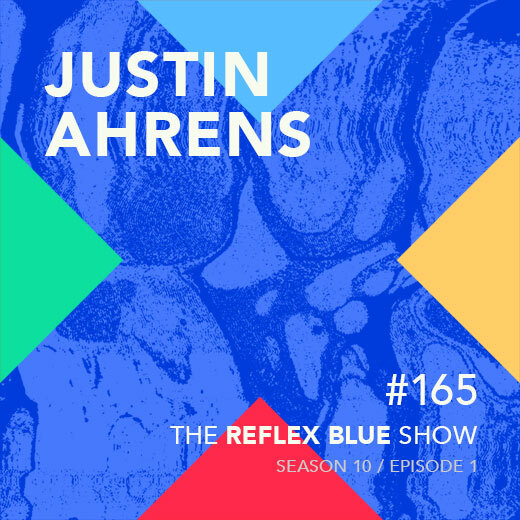 Justin Ahrens of Rule29 is always one of my favorite guests – partly because he’s always up to something new in the world of design. On this episode, we speak about him getting ready to present at How Design Live in Boston this year, and his upcoming bike ride for Wheels 4 Water. We also speak of the new 36 Point project – Why I Design. We’ll be posting our first one later this month.